In an interview with the Telegraph, RIM's CEO, Thorsten Heins, has stated that RIM may look to license the Blackberry 10 platform to larger OEMs. While this signals that RIM may finally be ready to face market realities, this strategy may not be as easy to execute, as it seems. We don’t have the economy of scale to compete against the guys who crank out 60 handsets a year. We have to differentiate and have a focused platform. To deliver BB10 we may need to look at licensing it to someone who can do this at a way better cost proposition than I can do it. There’s different options we could do that we’re currently investigating. We have already seen a huge outcry from OEMs when Google & Microsoft entered the hardware business. The response was stronger, in the case of Microsoft, because OEMs that had to pay Microsoft a licensing fee for Windows RT, now had to compete with them as well. Android vendors were easier to placate because the operating system is free to use. RIM's goal from licensing BB10 would be to generate a sustainable revenue stream without incurring the costs associated with manufacturing and marketing devices on a large scale, so it would only license it to OEMs for a fee. This may not be a very palatable situation for OEMs unless RIM exits the hardware business entirely. Since OEMs have no established association with RIM or the Blackberry OS, they have no reason to enter into licensing deals without a non-compete agreement. It's possible RIM may be able to sign on a few OEMs, but with RIM competing against them, effective marketing & distribution support may be difficult to come by. Windows Phone's performance in the market has shown that even support from multiple OEMs is not sufficient to generate consumer interest in a platform. Without a large, establish app & content base, an operating system is severely handicapped. In addition to this, recent reports have shown that developer interest in the Blackberry 10 platform has been dropping, which doesn't bode well for the future of app development on the platform. Since most large OEMs have already licensed Windows Phone, they may hesitate to take on another handicapped platform. The only way to get around this situation would be to follow Firefox's pricing strategy in emerging markets, but given RIM's enterprise background I doubt they would be open to that. Lately, many of RIM's traditional enterprise customers have started moving to Apple's iPhone. With third party security services gaining ground in the enterprise space, OEMs may find it difficult to enter the market purely on the strength of Blackberry's security infrastructure. 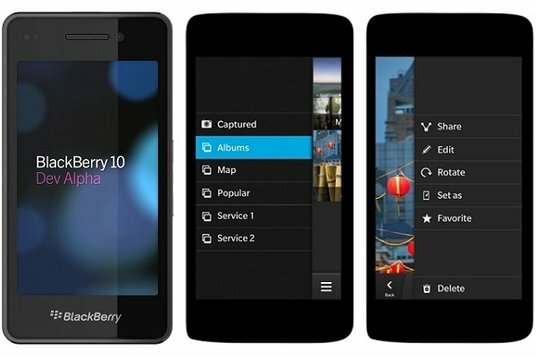 Conclusion - RIM's plan to license the BB10 platform may see numerous challenges. Unfortunately, at this point, they may not have too many options left. If this strategy were to be executed, it would most likely be accompanied by a split up and sale of the hardware business.